Honda: indicator for parking brake fails to illuminate when engaged. 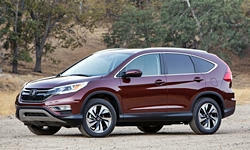 model 2012-2014 cr-v.
Service bulletin - the acc off message appears on the mid while trying to activate the acc. another symptom, while driving the acc off message may appear and turn off the acc. the multipurpose camera unit software misinterprets settings. Dealer message - questions and answers on multi-model airbag inflator recall. Dealer message - honda has updated the dealer q&a to provide you with the latest information regarding stop sale/ safety recall: honda 2007-2015 multi-model driver¿s airbag inflator (service bulletin 16-016). Dealer message - updated questions and answers for the honda 2007-2015 multi-model driver's airbag inflator safety recall. Updated questions and answers for the honda 2007-2015 multi-model driver's airbag inflator safety recall. Dealer message - procedures for providing alternate transportation. Dealer message - acknowledgement form to sell off-lease vehicle back to the originating lessee. Service bulletin - the power tailgate won¿t open in temperatures near freezing or colder, but will open in warmer temperatures. the cause is the power tailgate outer handle switch doesn¿t work in cold weather.